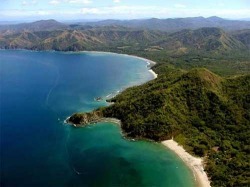 Costa Rica.... A beautiful country but one with many of the problems of impoverished countries. This summer, through an organization called Engineering World Health, I have been given the opportunity to travel to Central America for 2 months. In the first month I will receive training it the repair of medical equipment as well as Spanish lessons. Then, in the second month I will take all my training into a hospital in Honduras or Nicaragua to repair medical equipment while helping teach locals how to repair equipment. While I am there I will be living with a local Costa Rican family, allowing me to immerse in their culture and connect with the local people. Ultimately through this trip I hope to discover the needs of the developing world so as I return to the States I can direct my energy in a way that will of the most benefit. Furthermore, next year I will be completing a senior project and hope to fulfill one of the needs I discover as I am down there. Through this website I hope to inform you, my family and friends, about my adventure and keep you updated on my preparation as well as on what I am doing while I am there. I am so excited for this adventure and eager to have you alongside me!